There were a lot of things I anticipated before becoming a mother. I read about all of the possible complications during childbirth. I had heard from almost every parent I came in contact with about the sleep deprivation I would surely endure. And I most definitely anticipated and looked forward to loving my daughter more than my heart could possibly hold. In many ways, I was ready. One of my favorite surprises that I didn’t fully anticipate, however, was the change being a mother would bring to the relationship with my own mother. Like all mother-daughter relationships, we’ve had a few turbulent time periods (mostly thanks to some of my poor choices and need of an attitude adjustment). But now, at this time in my life, I’ve been blessed with this beautiful mix of a mentor, friend, therapist, and mother (among other things) all wrapped into one. Maybe its due the fact that becoming a mom myself has made me reflect on a lot of the choices she’s made as a mom, and now seeing them from a more rounded perspective makes me appreciate all that she’s done for her children even more. The sacrifices, the hail mary’s she threw up and crossed her fingers would work out, the decisions she knew would hurt temporarily but would help shape her children in the long run. All of those decisions you look back on in a new light and with a new sense of respect and gratitude. Maybe its due to the fact that becoming a mom somewhat evens the playing field. You’ve both gone down this miraculous road of becoming a parent and living for someone other than yourself, and that in itself creates a bond that runs deep. Maybe its because she’s able to now see me in a different light. While I will always need my mother, maybe the pressure is off her a little bit knowing that I’m taken care of and have a family of my own now. She can be a little more of a friend and a little less of a “parent”. I’m really not sure why these changes come about, all I know is I’m glad they do. I’m glad I have someone I can call at literally any time of day or night with a question – without any hesitation. I’m glad I have someone who is always looking out for me, but in new ways now. I’m glad I have someone that can talk me off a ledge when I’m hysterical thinking I’ve surely messed up this whole parenting thing again. But among all the million things I’m grateful for, I’m glad Tayler has a grandma that loves her [almost] as much as her parents do. I’m glad that as I’m typing this, I got a text message from her telling me how much she misses my daughter. She loves my daughter fiercely, and she loves me fiercely. It makes my heart hurt knowing that many women don’t get to experience motherhood with their own mother still around. It is a relationship that I cherish deeply, and promise to never take for granted. Finding balance in our lives is no novel idea. We strive for balance every day in a million different ways. Whether its balancing time between your friends and family, finding a balance that helps you maintain a healthy lifestyle while still indulging in your favorites, or balancing finances to accommodate a healthy mix of wants and needs. When we are able to find that harmonious middle ground that keeps us steady and at an even keel, we set ourselves up for optimal mental, emotional, and physical health. What I’ve been learning in these past 10.5 months, however, is that it is not always her needs above my own. Like all things in our lives, it is a careful art of finding the balance that works for you both. Now don’t take this the wrong way – I will always make sure my daughter has what she needs and is well provided for and loved. Always. But moms have needs too, and I’m realizing that those are many times just as important. Our children take their cues from us and can feel our emotions long before we can communicate them. When we are stressed, they are stressed. When we are anxious, they are anxious. Because of this, I’ve gotten better at appreciating what is necessary to keep me relaxed and happy, and not feeling guilty when my needs need to be met. When I’m at my best, she’s at her best – and isn’t that the goal? I can still remember the guilt I felt for weeks when I was beginning to wean off breastfeeding. My goal was to exclusively breastfeed for the first six months. Around 4.5 months, however, my supply had a hard time keeping up with her growing need. I tried it all – the pills, the water, the relaxation, and the 95 extra pumping sessions a day after she finished eating. The truth was I was getting worn out. Breastfeeding, which was once a very rewarding and happy time for us, had become a source of stress and anxiety. After weeks of guilt over the impending end of our breastfeeding journey, I changed my attitude. I had given my daughter 7 months of breast milk, and it was time for me to take care of my needs. After a very slow and gradual wean to formula, we were done. And wouldn’t you know it, I felt a sense of calm as a huge weight had lifted off my shoulders. The best way I can describe the feeling was like having someone fully recharge your mom batteries (and of course this feeling also made me feel guilty – why was I so happy about it? That darn mom guilt!). I was back to my A-game, and so was Tayler. She was healthy and thriving, I was healthy and thriving, and finding that balance again was all we needed. Over the holidays our family went and stayed at my parents’ house in our hometown for a few days. On one of those days we had some family down from northern Michigan that we don’t get to see that often. Due to a full house that night and an infant that doesn’t sleep well as it is when we travel, we had pre-planned to come home that evening. As we ate and laughed and played games with my family, I brought it up to my husband that maybe we should just stay the night. My mom had everything we needed for Tayler (her house is the best! ), and we would just make-do with what we had for the night. After all, sometimes don’t you just have to enjoy time with family when you have it? Well, a few hours and a few glasses of wine later (which I’m sure didn’t help the matter), I had a little meltdown. I was so upset with myself for “putting my needs above Tayler’s” and I “couldn’t believe I chose my own selfishness over my daughter”. The truth was, Tayler would’ve been just fine. And thanks to my empathetic mother and husband, they talked me off a ledge and reminded me that nights like this are very far and few for me, and I simply needed some time to kick back with my family – not just be a mom. I needed to find my way back to that healthy balance of being a mom and being a part of the family that can let loose a little bit! If only I could go back and tell myself that when it happened. It’s still an ongoing struggle for me, but I’m working hard at finding and keeping that balance. I need to keep working hard at not only making choices that have both of our best interests at heart, but also on maintaining the pieces of me that have nothing to do with being a mother so I can continue to be my whole and content self. If she’s at her best when I’m at my best, then my needs can’t continually be put in the bottom drawer. As one of my wise Momtourage friends once said: there are a million ways to raise a healthy baby. Whether your choices are big or small – breastfeeding vs. formula, career vs. stay at home, cloth vs. disposable diapers, or a night out vs. a night in… do your best to find that healthy balance and don’t let any guilt linger for one single second. Spend your energy being your best so your child can be theirs. I can still remember when I was babysitting for a new, first time mom. As her precious baby napped upstairs and I watched TV in the living room, I picked up and skimmed through the Baby Sign Language book on her coffee table. 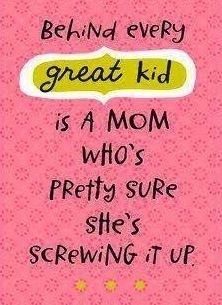 Showing my age, knowledge, and maturity here, my thought was a mental scoff followed by, “These moms today are crazy! Trying to get babies to do all these crazy things so early!”. Oh, Erica. Several years and a baby of my own later, I now fully understand why that mom was interested in baby sign language. The benefits are many – for both you and for baby. I’ll dive into those in a minute. When Tayler was about 5 months old we started consistently using two signs that I thought would make communication easier for us – “milk” and “more”. I knew 5 months old was a tad early, but I also knew it would take us awhile to get used to using the signs consistently. To help us try and remember, I printed some of the basics off of the internet and taped them up in the kitchen. Every time it was time to eat, we would sign and say “milk” several times. Every time she ate solids we would sign and say “more” before putting more on her tray. Two months went by, and then Tayler began to smile and get excited when we would do the signs – she knew what they meant and things were starting to click! Fast forward to 8.5 months, and Tayler began to use “milk” on her own without our prompting and “more” followed right behind! Our consistency was paying off and we were giving Tayler the tools to communicate her wants and needs long before she could tell us. It eliminates some of the guesswork that comes along with raising small children. Trying to figure out what your child needs can be frustrating at times. All you want to do is give them what they need, but its not always easy to figure out when their only communication tool is crying. Giving them the tools to communicate things like “sleep”, “more”, “drink”, “hurt”, and “help” give you the language to stay on the same page. It reduces fussiness. You’re not the only one that can get frustrated when trying to figure out what your child needs. You can imagine how challenging it would be to need something and have no way to say it. When you’re able to meet your child’s needs it keeps them happier and more content. 8 months old to 2 years old is a significant time frame – spend it communicating! Its a great bonding time. Practicing signs together gives you and your child a language to communicate within and learning it together can be very rewarding for you both. It’s fun, allows you a sneak peak into each other’s minds, and strengthens your relationship in the process. Its developmentally beneficial. Before your child can verbalize language, sign language allows them to flex their communication muscles. It builds vocabulary, self-esteem, and can act as a stepping stone to full speech. The associations they make through signing serve as a mental jungle gym! (And despite the myths that learning sign language delays verbal speech – research strongly proves that’s not the case!). Consistency consistency consistency. Say it and sign it every time. 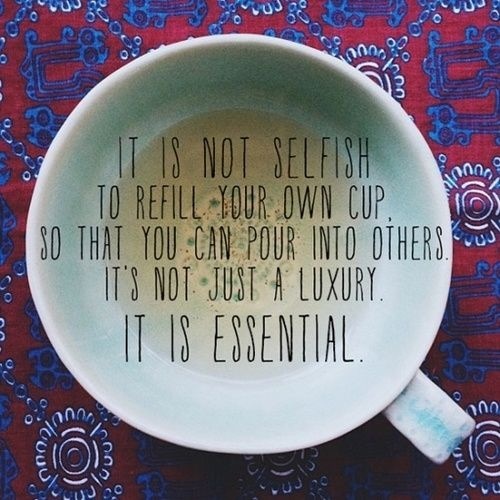 Include any other caregivers if possible. 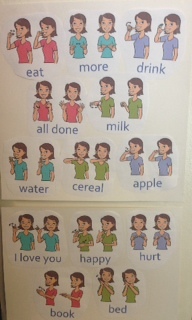 Now that she’s really getting it I bought a Baby Sign Language kit to use that comes with pre-made flashcards. While I do use it and like it, I was finding that a lot of the pictures on the flash cards didn’t look like the ones she sees or uses. 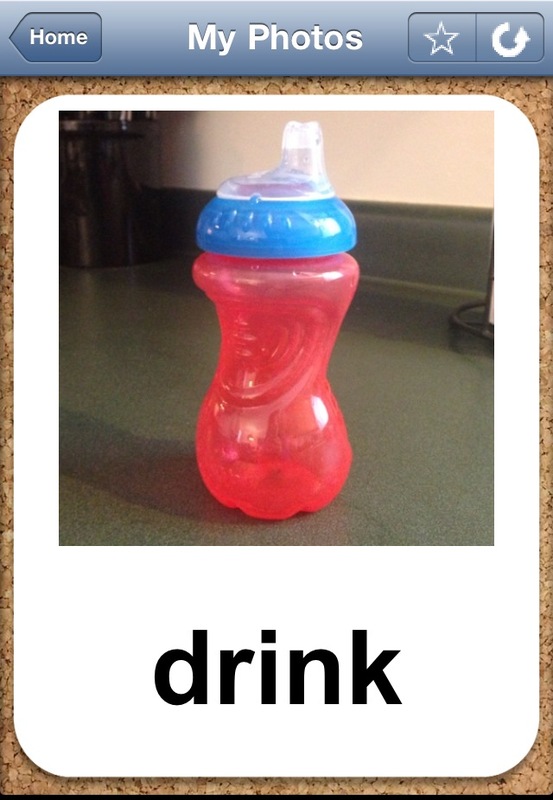 For example, “drink” was in a glass. She doesn’t drink out of glasses, she drinks water out of her sippy cup. There was a picture of a tiny dog, which looks nothing like the big goldens we have here. 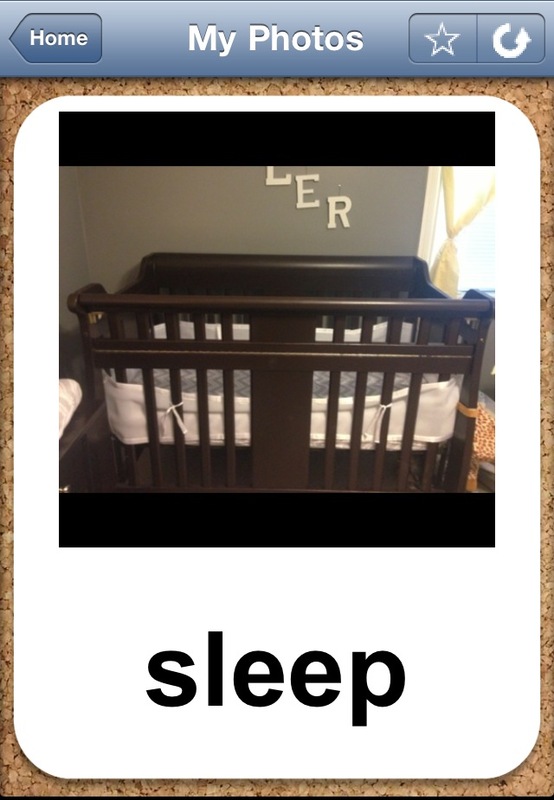 The picture for “bed” was a toddler bed, not her crib. So I decided to make some of my own. 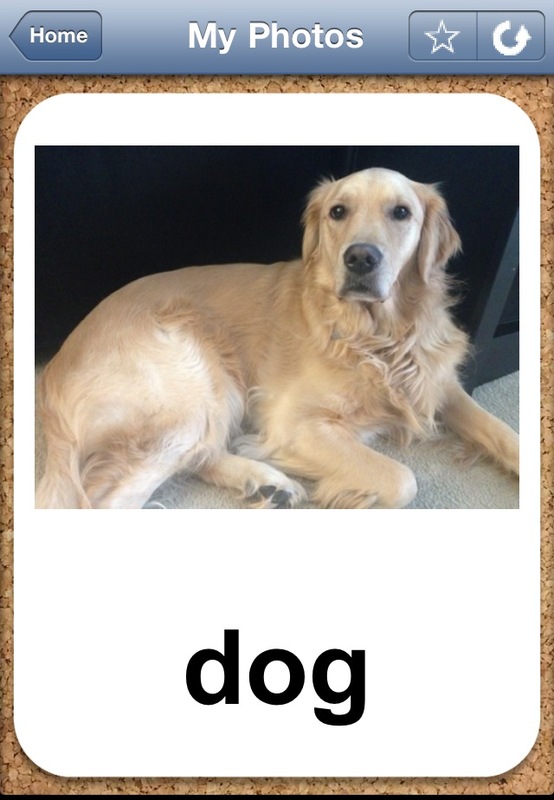 I killed two birds with one stone and downloaded an app called “Animal Zoo Flashcards and Games”. 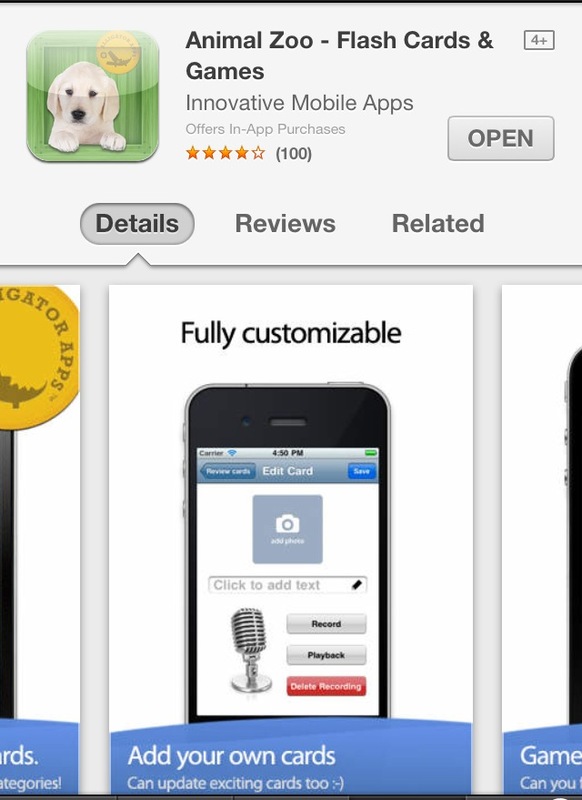 It not only has pictures of animals so we can practice the sounds they make (you can customize them and record your own sounds if you want! ), but they have a stack of flash cards for “My Photos” which I use for some of our sign language flash cards. I took pictures of the next signs I want to practice, and made my own stack! I’m sure I have a lot to learn as we continue our sign language journey, so I’d love to hear your experiences! I didn’t read the baby books [insert gasp]. I know, right? Who doesn’t read a baby book these days – I mean, there are so many out there! The more moms I’ve talked to over these past 10 months, the more I began to realize that this is somewhat of a rarity. Research and medicine have given us an infinite wealth of knowledge about babies and how they develop, which is (usually) a great blessing. We can read about sleep patterns, feeding schedules, colic, common illnesses, sleep training, and a million ways to keep your baby safe. Among a million other things. Some books have gained great popularity, such as Babywise and Happiest Baby on the Block. While I haven’t read them, I know a lot of moms swear by them as many of the methods worked for their babies. Baby books can be a savior when you’re thrown into the deep end with a newborn that you’re just not sure what to do with. I want to be very clear that I am not passing judgment or putting down any mother that read the baby books. It shows genuine care for the well-being of your child and making sure you’re the best mom you can be. There have been many times over the past 10 months I wished I would’ve read some. Like when Tayler went through her sleep regressions. Or when I could not believe how often she wanted to nurse. And there have been many times I wondered if it made me inadequate as mom because I didn’t know the latest trends and methods. I just didn’t read them. Frankly, I was overwhelmed by the choices. Not only the choices available, but how many books contradict one another. As a mom you’ll find that every single piece of advice you read will always have an opposing viewpoint. Who is right?! I said forget it. With hopes of adding to our family in the near future, I’ve begun to think about those books again. Should I read one for the second time around? Will it make my life easier? I’m not sure, and maybe I will read one or two – we’ll see. But reflecting back on those first few months with Tayler, I’ve come to the realization that (for me), not reading the baby books was a genuine blessing. Not reading the baby books allowed me to truly and honestly hone in on Tayler’s needs, wants, and gentle nuances of the baby she was. I didn’t have things I was expecting to see from her. I didn’t try and put her behaviors into categories a book talked about. And I wasn’t anticipating future changes from her that she may or may not go through (which, knowing my personality, I would’ve). I learned as I went. I learned her. I learned what teething looked like for her before I thought she was able to get teeth. I learned what she needed to sleep through the night after many nights of our own trial and error. I learned her napping pattern without forcing one on her. And I learned to be flexible and adaptable because without fail, when you think you have your child figured out – they will most definitely change things up for you. Whenever I thought I was an idiot for not reading up more on this tiny beast I was responsible for, I found comfort in the fact that for thousands of years women raised perfectly healthy children – without reading books. Now don’t get me wrong, there were many things I might have figured out faster had I read a book or two. And there were definitely nights I laid in bed in the dark googling modified CIO methods, teething remedies, and what a 4 month old’s daily schedule should look like. There is a lot to learn. But I learned as I went. And I learned her. The point of this blog is not to say that skipping the books is the way to go or that skipping them made me any ounce better of a mom. I’m not saying that at all. Like I mentioned before, I still might read some this next time around. My point is that if you don’t, for whatever reason, you will be OK. You’ll survive together, and you’ll learn. It started out like any one of our other 100 successful trips we’ve taken to the grocery store together. An errand I genuinely enjoy doing with Tayler. She had just gotten up from a nap, had a big bottle, clean diaper, and was ready to rock. Recipe for success, right? Upon arrival, I felt good. She was happily bumbling in the cart, my list was organized perfectly by aisle (well, for the most part), and we began our rounds. The first inkling of disaster started when every slow-moving and oblivious human appeared to be in Meijer with me. All at the same time. All blocking my aisles. I only have so many patient and understanding smile/nods to give out – come on people. Grab another frozen pizza and move on. About a quarter of the way through the grocery list, sweet, curious Tayler banged her head on the side of the cart. Crocodile tears, hysterical screams, and thrashing ensued. It scared her more than anything – she was fine. Needless to say, from this point on she refused to sit in the cart for one second longer, and I was forced to carry her in one arm while trying to navigate the heavy cart with the other through the masses of molasses clogging our path ways. Not ideal, but no biggie – I got this. We had finally finished our list (after batting away those staple 7 elderly people that try to touch her cheeks while we’re there). Since little miss had no intentions of sitting back in the cart, I was forced to pick a check-out lane with an employee – no self-check out today. To no surprise, every check-out lane was 5 people deep with full carts of crap (was it my fault for tempting fate on a late Friday afternoon?). And then it hit. (If you’re not a fan of TMI stories, or a male – this is probably your cue to stop reading – thanks for stopping by!). In a matter of 30 seconds, I went from mildy frustrated and sweating from carrying a 9 month old on my arm, to sweating from sheer panic as chaos hit my stomach like a ton of bricks. I needed to find a restroom as soon as possible. Like, yesterday. We squealed our tires out of line, and made it to the closest restroom. My hand was now forced to conquer one of my biggest fears: going #2 in public. This, was my nightmare. My absolute nightmare. As Tayler and I ditched our cart and made our way in, we were welcomed by a party of women oogling over the third stall toilet that appeared to have exploded. Just what I needed – an audience (and why were they intent on watching that?!). The only available stall was the first one with the mangled door. I had to. Things were moving quick. I thought I was going to die in that stall today, as I battled a knee length jacket that wouldn’t unzip, a 9 month old that wouldn’t stop moving in my lap or trying to touch every disgusting inch of that place, facing my fear of doing my business in public (why god WHY couldn’t the bathroom be empty?! ), and a tampon that insisted on being changed – all the while staring back at the woman who had no shame in watching me struggle through the two inch gap in the door. And I thought I was sweating before. I walked out of that bathroom with zero dignity left as I grabbed our cart and made our way back to the insanely long lines. I can only imagine that I had defeat spelled out in block letters on my face as a Meijer manager so graciously came over to me, grabbed my cart, and had an employee open up a new line just for me. What an angel. I can laugh now (even though I’m still not feeling too well), but I can’t decide whether I should be amazed at how I pulled it off in that tiny stall, or be mortified knowing that those Meijer employees have not only seen me at my worst in their bathroom, but have also seen me half pee myself in their store when I was 9.5 months pregnant. Regardless, being a mom is never, ever a dull moment. Maybe I need to find a new grocery store? I guess I’ll debate that tonight as I drink my one (or seven) glasses of wine. I’ve never been a huge New Year’s Resolutions person. 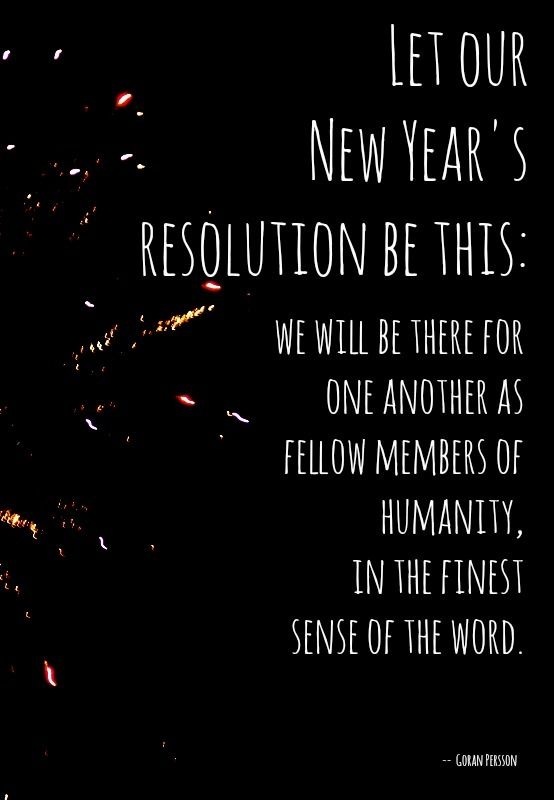 I mean, sure, I think about them, but lets just call a spade a spade and agree that most of them fizzle out and go where resolutions die by February 1st. Nonetheless, as I was doing my brief thinking about what I’d like to do better at in this new and promising 2014, I came up with my few staples. Yeah – I’d love to hit my goal weight by Tayler’s first birthday and clean up my eating a little more. And yes – I really need to commit more time to reading. I enjoy it and its good for your soul. Absolutely – I want to keep up the “constantly being reflective of all I have to be grateful for” attitude. I’m actually getting really good at that one! YES – I need to work harder on those friendships (see my post from a few days ago). And maybe a few more I’ve already forgotten. After the usuals passed through my stream of consciousness, I realized I didn’t have any that were mom related. I sat there and felt kind of stumped as none of them really made sense as “resolutions”. They were all things I tell myself I need to keep working at every. single. day. They are all too important to wait for a new year, and they are all too important to be allowed to wander off to that resolution death trap. So, instead of thinking about “mommy resolutions”, I thought about what some significant mom moments for me were in 2013, and how I can either duplicate those in 2014 or simply continue them on. Among other things that I won’t ramble on about tonight, I found that one of my significant mom experiences was starting this blog. While I was hesitant to start it, I’m sure glad I stepped out of my comfort zone and did. I wasn’t sure who would read it (still not sure if people do, ha! ), I wasn’t sure if what I had to say was worth much to anyone, and I wasn’t sure if I was “qualified enough” to write a mom blog since I am still so new to this whole thing. Then once I got going, I realized none of my initial concerns mattered. Writing this blog was for me, and writing this blog has made me a better mom. It’s made me much more reflective of my every day experiences and choices, which in turn has made me happier, more honest and open, more in tune with my emotions, and more confident in this crazy adventure of being responsible for a tiny human. That in itself has made writing this blog worth it. And if you want a “mommy resolution” for 2014, consider to make it writing. Whether it be in a notebook, journal, or blog, and no matter if anyone ever reads it but you, and no matter how good of a writer you think you are – write. I bet you’ll be glad you did. Fortunately for me, however, this blog has brought an added bonus. My cherry on top. You. Yes, you. I’ve gotten many messages over the past few months from women (and men!) that are in all stages in parenthood and have reached out to say they have connected with me in some way. From the, “I’m not close to being a mom yet, but I enjoy reading what I have to look forward to”, to the “I’m about to be a new dad and secretly love to read your posts”, to the, “Oh my gosh I went through the same exact thing! This is what I did about it…”. To all of you, I just wanted to give you a whole-hearted, deeply felt, thank you. Not because you’ve read the blog, but because you’ve allowed me to share what has been the best journey of my life to date with you and connect with you in one way or another. Those connections are what I love and live for, and I can’t wait to share more with you this year. I know as a mom I don’t have it all together (do any of us? ), but I can assure you that you’ve always got a friend here. After all, isn’t life better when shared? (Big thank you to my Momtourage, as always, for guiding me, lovingly supporting me, and being much of the inspiration for the blog as Warriors in Yoga Pants).